SAN DIEGO—The proposed classification criteria for systemic lupus erythematosus (SLE), supported but not yet approved by the ACR and EULAR, were debuted on Nov. 7 at the 2017 ACR/ARHP Annual Meeting. An international steering committee developed and validated the criteria, with patient input and the consensus of more than 150 global SLE experts. Classification criteria are designed to identify a homogeneous set of patients for inclusion in clinical trials and translational studies, not to diagnose patients. “Diagnosis is individual. We look for the perfect therapy based on the individual prognosis. For classification, the aim is totally different. In diagnosis, we are entitled to use all the information we can gather on an individual patient. For classification, it has to be a feasible set of objective criteria,” Dr. Aringer said. In classification, common features are most important, said Dr. Aringer. 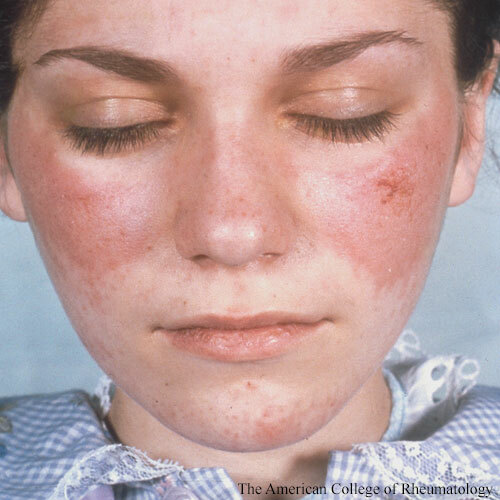 Although each lupus patient is unique, all have autoantibodies to nuclear antigens (ANA), as well as many other autoantibodies, and evidence of immune complex deposition from histology to complement to interferon signature. This leads to many different organ manifestations in SLE. “ANA has very high sensitivity, but its specificity is actually pretty low. For anti-Smith antibodies, it’s the other way around. So it doesn’t make sense to have them side by side in the criteria,” said Dr. Aringer. They hypothesized that ANA would be the entry criterion and then tested if that was feasible. by HEP-2. The other criteria are too broad and will void any ground we have made up with non-Rheumatologist calling so many patients lupus. I think you should go ask Watson where you went wrong. This was done for the 1997 criteria with a much less powerful software program before AI arrived. Family Practice is never going to get this ! Rheumatologists should get it. It just seems to be a way to limit looking further in some cases. The sad thing is not everyone will have the same symptoms at the same time. It is not a text book disease, not everyone has a “butterfly rash” but may find rashes on chest etc. What is needed is a good listener. I have post-menapausal Lupus which took 3 Rheumatologist over ten years to identify. It was actually a resident internist doing a dermatology residency at a prestigious clinic that identified it following a huge event of alopecia. They decided to look further and the symptoms were more prominent. I complained to my PCP but they just thought I looked to well to be sick !!! I felt like hell !